There's an art to keeping your cool. We’ve all had our fair share of tough conversations. You know the ones: an awkward fight with a friend; the heartbreaking dialogue when breaking things off with a loved one; the difficult news of losing your job; the frustration of dealing with an unfair grade in school. We’ve all had to face conflict head on at one point or another. Confronting someone to address the tension between you can prove challenging and intimidating. If you’re nervous about having a tough conversation, though, don’t fret. GenTwenty has four tips for you to have a tough conversation, respectfully. The worst thing you can do during a difficult conversation with someone is to speak over them and refuse to hear them out. The person you’re speaking with deserves just as much air time as you do to share their side of the story-even if they’re at fault. We aren’t perfect. We’re all flawed, we’ve all made poor decisions, and sometimes we just need to feel heard to make amends. Listen to the person you’re at conflict with. It’s tough to talk about certain things, but in order to have this difficult conversation executed respectfully, be certain you’re listening to the other person and actually hearing them out. 2. Do not act defensively. If you enter a conversation with a defensive nature, things are no doubt going to fall south. Avoid behaving defensively. Own any mistakes you made or things you said wrong, because ultimately owning it is going to make you come across as credible. If you defend every mistake you’ve made, the other person is not going to be receptive to fixing the problem. Honestly, acting defensively could actually amplify what’s wrong, making things even worse than they already are. Be respectful by accepting maybe you’re wrong and promising to do right in the future. Don’t take the tough conversation as a personal attack. Sometimes things get heated, but if you maintain the right attitude, you can fix almost anything. 3. Keep calm, cool, and collected. Don’t come in hot with attitude when you’re having a spat with someone close to you. Stay even-keeled throughout the conversation. It’s hard to keep calm, especially if you vehemently disagree with the topic at hand, but staying cool is going to work in your favor. If you attack the other person, the conversation is going to go from tough to impossible really quickly. Keep calm; you’ll get through this tough convo! 4. Communicate clearly and fairly. Avoid passive aggressive comments or placing blame. The last thing anyone wants to feel is at fault, especially during a moment of tension. Hard conversations can prove tough on all parties involved. Communicate your points effectively by being clear about what you mean and be fair by not pointing fingers. The most respectful way to get through a tough conversation is by clear communication. We all want to communicate effectively (unless you thrive off of drama, which we hope you don’t!). 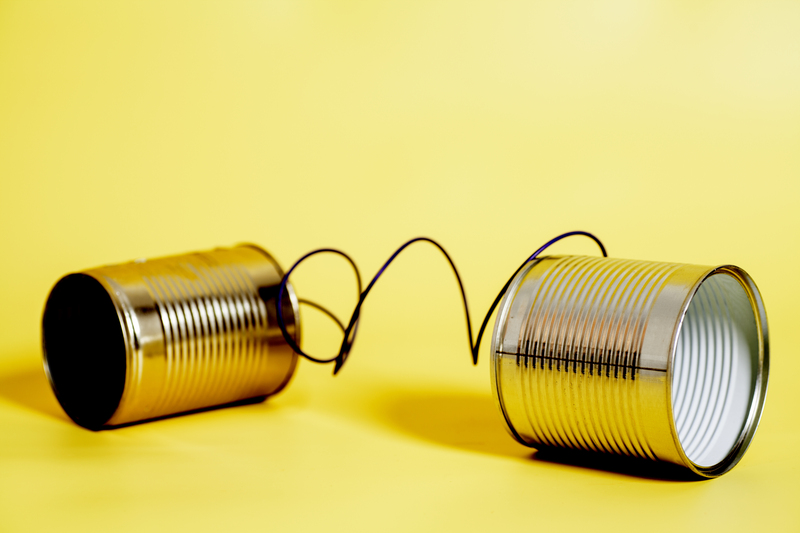 Communicating clearly is bound to spin the conversation in a more positive direction in an effort to achieve resolution. Having tough conversations in unfortunately an inevitable part of life. Sometimes we say things that offend others, make choices that negatively affect people we care for, and even create drama when we don’t mean to. It’s best to nip it in the bud as early on as possible to avoid a tough conversation turning into losing a friendship or isolating the people closest to you. Utilize these tips to help resolve your next tough conversation. Don’t hesitate to report back on what worked best for you to achieve resolution!